This inspiring book will open the eyes and hearts of youth and their families to a greater awareness of the unseen world, as well as provide warm encouragement to keep company with the incredible angelic friends who unceasingly glorify God and who have been a significant part of salvation history; protecting Jesus throughout His life, announcing heavenÕs plans, and guiding and protecting the faithful. A chapter of special prayers to the angels completes the book. ÒAngels are our protectors, companions, and God's messengers. 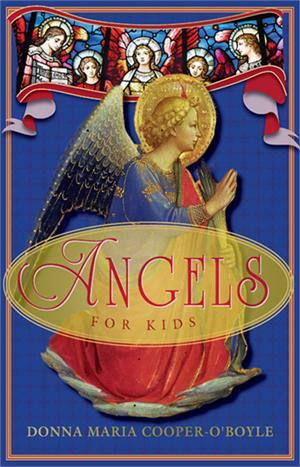 In Angels for Kids, Donna-Marie Cooper O'Boyle shares the important role they play in our lives in language that is compelling and at the same time accessible for little souls. Buy this book for your kids, savor some reading time along with them, and you'll be amazed by how much you'll learn too!" Ð Jack Wintz The invisible world of angels is so often overlooked, though it has been present since before the dawn of Creation, offering attentive service and protection to humankind. Based on Catholic teaching, Angels for Kids offers proof of the true existence of angels while dispelling prevalent contemporary myths.